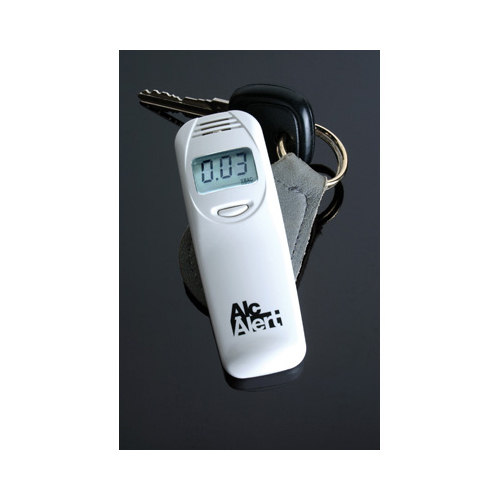 AlcAlert BT5500 Breathalyzer is an extremely compact and dependable alcohol screening device that is a must have for any responsible drinker. Why risk your safety and the safety of others? 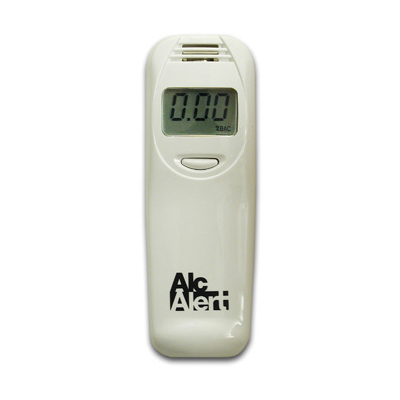 AlcAlert breathalyzer keep you alert, even if you had one too many. Don't leave it to chance, make sure yourself or others are in safe mental condition to operate machinery or drive before it's too late..
AlcAlert is a very accurate breathalyzer that helps wise drinkers to prevent an accident - while driving or operating heavy machinery. The BT5500 helps you make a more informed decision regarding your BAC with respect to both the law and the safety of yourself and others. BT5500 is very simple to use. Exhale into the device and within a few seconds a precise level of your BAC will be displayed on the LCD. 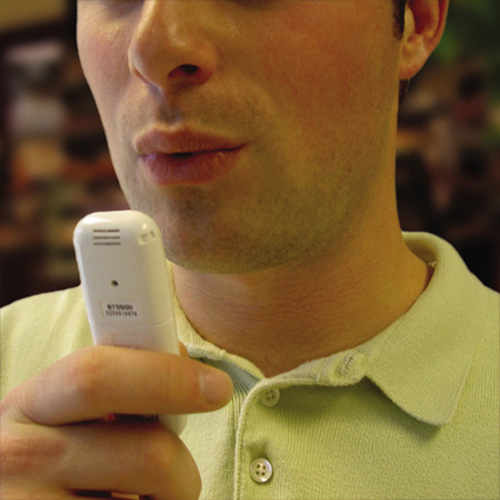 This low level sensitivity makes the BT5500 the best reusable breathalyzer in "Zero Tolerance" situations such as Schools, clinics, workplaces, as well as child custody & parental visitations. Smart industrial design has eliminated the need for installing expensive disposable mouthpieces. Unlike most other alcohol testers on the market , the AlcAlert does not require any mouthpieces to maintain sanitary test conditions. The subject simply blows at the device intake and never has to touch the unit directly with their lips. 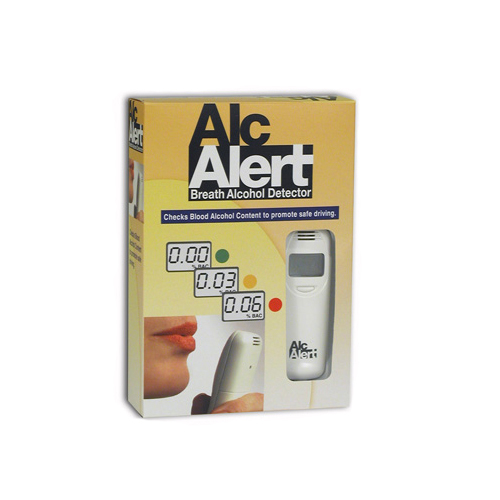 This method makes the AlcAlert BT5500 an ideal breathalyzer for parties and public gatherings. It completely eliminates any health hazard associated with public testing and save you the fixed cost of mouthpieces that are disposable. AlcAlert BT5500 is unbelievably simple to use. The unit makes a "beeping" sound when ready and again when a sufficient sample has been taken. Exhale gently into the unit and stop when you hear the second beep. Second later, an easy to read back-lit LCD will display the results in increments of .01%. This indicates low power, or battery. Please replace the batteries. What would cause the unit to read SAT? The SAT icon means that the sensor is saturated. This occurs when the unit is not allowed ample time between uses. For example, frequent testing without allowing the moisture to evaporate from the sensor can cause the unit to cease measuring and display the SAT error message. You should stop and wait at least 30 minutes after drinking, eating or smoking before performing an alcohol test. This will help avoid contamination of the gas sensor and guarantee the most accurate measurement. How many times do I need to push the button to get the SAT off? The SAT message will turn off after the liquid has evaporated from the alcohol sensor. This time does vary, and mainly depends on what contaminants have been deposited on the detector. It sometimes may require several tries before the device becomes ready to measure again. Seems to work well to objectively measure BAC. Works easily. Seems accurate. Read high a few times. Called in and they told me to do a dry run. Seemed to fix the problem. I guess waiting the full 20 minutes is really important when using a breathalyzer. Easy to use and reliable. Gives me peace of mind. Use to check my BAC before blowing into my court imposed interlock breathalyzer. The money saved from fine failures, is well worth the purchase price. Got the Alcalert pretty quickly. The instructions were easy to follow, but I still called to clarify the distance. It's been working well for me so far. Wish it had mouthpieces, but at this price the quality is top notch. Arrived super fast! We ordered it on a Tuesday, and got it the next day. The alcalert was a little smaller than I anticipated, but it fit great in my clutch which was even better. I thought about a keychain breathalyzer, but I was a litlte embarassed about keeping one on my keys at all times when I only wanted to bring the tester with me when I knew I was going to drink. It was simple to use, and gave quick results. I've used it about 30 times so far, and you can slowly see your BAC dropping the more time goes by. I've had some interesting conversations with people when they see I have one. I'm a casual drinker, and would recommend this to someone else. Like any other analytical instrument, breathalyzers need routine calibration to ensure their accuracy.